Randy's Donuts in Inglewood has been an icon of Southern California since 1953. 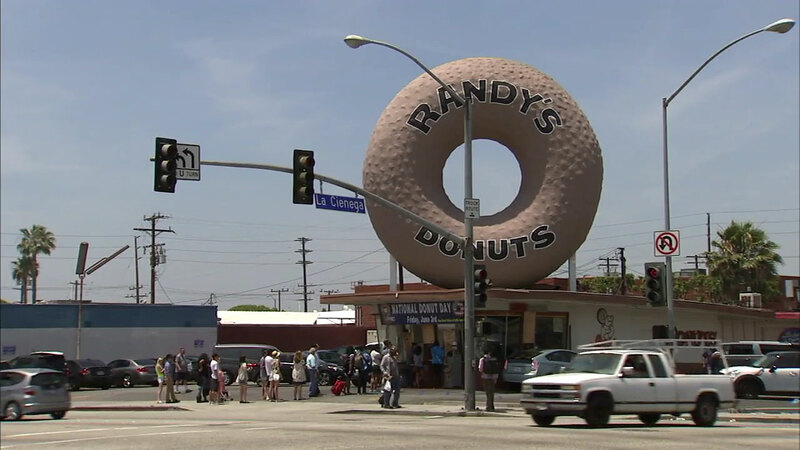 INGLEWOOD, Calif. (KABC) -- It's already an icon of the Southern California landscape but now Randy's Donuts is eyeing farther horizons. The Inglewood shop, built in 1953, is famous for its huge rooftop donut sign that has appeared in numerous movies, TV shows and music videos set in Los Angeles. Now it's looking to expand. The shop has already opened a location at the Westfield Century City and is planning a new site in El Segundo. After that, Mark Kelegian, who bought the shop in 2015, tells Eyewitness News he's eyeing out-of-state expansion with locations around the country, possibly on the East Coast. They would be franchise or joint ventures, he said.